Stephen H. Loring, MD, became interested in physiology as a young boy. That passion has never waned, and the quest to find answers continues to be a driving force in Dr. Loring’s life. Today, Dr. Loring is Scientific Director of Respiratory Therapy at Beth Israel Deaconess Medical Center in Boston, Massachusetts and professor of anesthesia at Harvard Medical School. He is collaborating to translate past research into a new approach to managing mechanical ventilation in patients with acute respiratory distress syndrome (ARDS) using esophageal pressure measurement to estimate lung pressure. Currently, mechanical ventilators only allow clinicians to set the pressure applied to the whole respiratory system in order to expand not only the lungs but the surrounding chest wall. Because every patient is different—some have high pressures in the chest wall, while others do not—it is challenging for the clinician to determine the correct pressures to ventilate the lung itself. Too much pressure can overstretch the lung, and too little pressure can also cause lung damage. Dr. Loring and his colleagues are now beginning a phase II trial to test the utility of this esophageal pressure approach. In addition to research, reviewing papers, and writing, teaching is an important part of Dr. Loring’s work. He teaches medical students in the respiratory pathophysiology course in the Harvard-MIT health sciences and technology program. Jeremy R. Beitler, MD, MPH, director of the University of California, at San Diego-Hillcrest Medical Intensive Care Unit, trained under Dr. Loring and says he has had a profound impact on his life. Dr. Loring’s department head, Daniel Talmor, MD, MPH, agrees that Dr. Loring is a remarkable person and professional. He first met Dr. Loring in 1999. 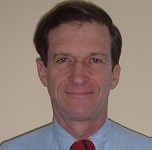 Dr. Loring earned his bachelor’s degree at Amherst College and his BMS from Dartmouth Medical School. He earned his MD at Harvard before completing an internship in internal medicine. Dr. Loring says that he loved medicine and the patient interaction, but he wanted to pursue individual questions. So after internship, he spent the next 11 years researching in Harvard’s physiology laboratory before establishing his career at Beth Israel Deaconess Medical Center. When not working, Dr. Loring enjoys spending time outdoors with his wife, Hilary. He and Hilary have also earned pilots’ licenses, and he is instrument-rated. Their daughter lives in Newcastle, Maine, with her family, and their son lives with his wife in Bethesda, Maryland.